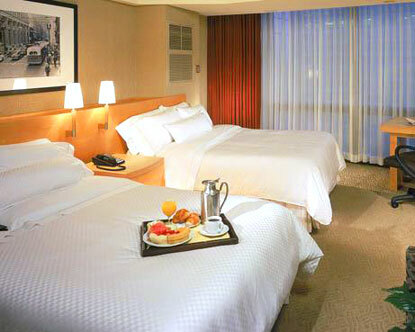 Traveling for business or vacationing always has one thing in common; you need a place to stay. Unfortunately, many individuals choose large hotel chains which have no personality and do nothing more than provide a place to sleep for their guests. However, when business and vacation travelers choose to stay at a Bed and Breakfast they are able to enjoy their trip even more simply because Bed and Breakfast inns focus on each individual guest. In fact, there are several benefits a Bed and Breakfast has over regular hotels. Most Bed and Breakfast Inns are typically small and have a limited number of rooms to rent out. However, each room has a lot of personality and is generally decorated around a theme and focuses on the comfort of guests. Each room is decorated in an elegant at-home way that is easily enjoyed by guests who want comfortable and beautiful surroundings to enjoy while on their trip. You certainly won't encounter the generic rooms of common hotels. All in all, when you stay at a Bed and Breakfast you will feel at home. As the name suggests the daily rate of a Bed and Breakfast stay will certainly include the first meal of the day. While a Continental breakfast is frequently included in chain hotel rates the breakfast at a Bed and Breakfast is always of a significantly higher quality. This is because innkeepers take pride in serving well balanced and tasty meals allowing guests to enjoy every aspect of their stay. Although every Bed and Breakfast is different you can generally expect a full breakfast of meat and eggs with fresh baked muffins, fresh squeezed juice and fruit. Usually breakfast is served on fine china with silver cutlery, much higher class than disposable plates and cutlery at low priced hotel chains. You are probably thinking, "yeah, right!" But the truth is Bed and Breakfast Inns really are more economical when you consider the entire price of the stay. For example, a Bed and Breakfast may charge what seems like expensive nightly fees, but everything is basically included from local phone calls to movies, and concierge services to parking. Just these extras at a hotel can add $100 or more to your daily bill. So, in the overall scheme of things a Bed and Breakfast will probably save you money and you will be more comfortable and relaxed at the same time.